Meniere's disease is a condition of the inner ear that causes attacks of dizziness, loss of balance, ringing or unusual noises in the ears and hearing loss. Symptoms usually develop suddenly and last around two to three hours. However, sometimes it may take days for the symptoms to clear completely. Anyone can develop Meniere's disease, but it is most likely to occur in adults aged between 40 and 60. It is rare in children and slightly more common in women than men. The cause of Meniere's disease is not well understood. However, it is thought to be caused by a build-up of fluid inside two main structures of the inner ear: the semicircular canals and cochlea. The semicircular canals are three fluid-filled tubes arranged at different angles. As the head moves, the fluid flows through the tubes, sending information to the brain about the speed, direction and distance of movement. The cochlea is a bony, snail-shaped coil that also contains fluid, but for the purposes of hearing. It converts sound waves into electrical signals, which are then sent via the auditory nerve to the brain. The same fluid also travels freely between the cochlea and semicircular canals. During an attack of Meniere's disease, it is thought that vertigo, tinnitus and hearing loss occur when too much fluid in the inner ear causes an increase in pressure. In turn, damage to the inner ear, and changes to the fluid inside it, most likely interfere with balance and transmission of hearing signals to the brain. Build-up of fluid in the cochlea and semi-circular canals as a result of Meniere's disease. 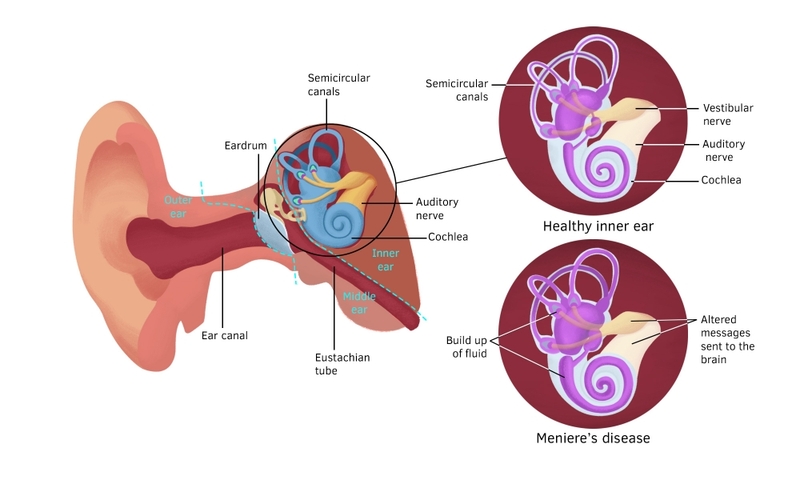 Nearly all people with Meniere's disease experience too much fluid in the inner ear, but it is also possible for others to experience this symptom separately, without developing Meniere's disease. Other conditions that may have symptoms similar to Meniere's disease include injury, infection, migraine, stroke and tumours. Late stage - attacks of vertigo may occur even less frequently over time or stop altogether. Hearing loss and tinnitus may continue to get worse and problems with balance may remain. Certain medications, such as antibiotics and chemotherapy drugs. Meniere's disease usually causes hearing loss and ringing in the ears. As attacks may be sudden and disabling until symptoms have cleared, many people do not visit their doctor until they are feeling well again. For this reason, Meniere's disease is usually diagnosed by asking questions about your symptoms and a physical exam. There is no specific test available, so your doctor may make a diagnosis over time, once a pattern of symptoms has developed. To rule out other causes of vertigo, tinnitus and hearing loss, your doctor may conduct additional investigations or refer you to an ear, nose and throat (ENT) specialist. Some investigations that may be used to gather more information could include a hearing test (audiology), magnetic resonance imaging (MRI) scan, or computerised tomography (CT) scan. MRI and CT can be used to rule out other causes of symptoms including a stroke or tumour. In some cases, an electronystagmography (ENG) test may be used to measure your eye movements during balancing activities. In consultation with your doctor, a number of lifestyle and behavioural changes may help you to manage the symptoms of Meniere's disease. For example, recognising the warning signs of an attack may allow you to take prescribed medications early and get into a safe position. If you experience severe or regular attacks, you are advised to avoid driving, swimming or operating heavy machinery. Joining a support group may provide a good source of information and encouragement. Additionally, eating a healthy diet that is low in salt may reduce the build-up of fluid in all areas of the body, including the inner ear. Similarly, maintaining regular eating and drinking patterns throughout the day, and avoiding caffeine and quitting smoking is usually recommended. To reduce dizziness and vomiting during an attack, your doctor may prescribe prochlorperazine. This medication works by regulating the messages sent from the inner ear to the brain. It is most effective when taken at the first sign of an attack. Prochlorperazine is usually well tolerated, but uncommon side effects can include shaking, sleepiness and uncontrollable movements of the body or face. Alternatively, your doctor may prescribe betahistine to reduce the number and severity of attacks. Betahistine is thought to reduce fluid and pressure in the inner ear by improving blood flow to the area. Side effects may include an upset stomach, skin irritation, a racing heart, dizziness or headache. Another option to reduce the amount of fluid and pressure in your inner ear is a diuretic medication, such as hydrochlorothiazide or acetazolamide. Diuretics encourage urination, which reduces the amount of fluid held by all areas of the body, including the inner ear. Side effects may include dizziness, lowered blood pressure, dehydration, weakness and muscle cramps. In severe cases of Meniere's disease, where other treatments have not been successful, injection of gentamicin through the eardrum into the middle ear is an option you may wish to discuss with your doctor. Gentamicin is an antibiotic medication that is selectively toxic to the nerve endings of balance, than those of hearing, and on a cellular level damages enough of the balance nerves to stop the vertigo attacks. 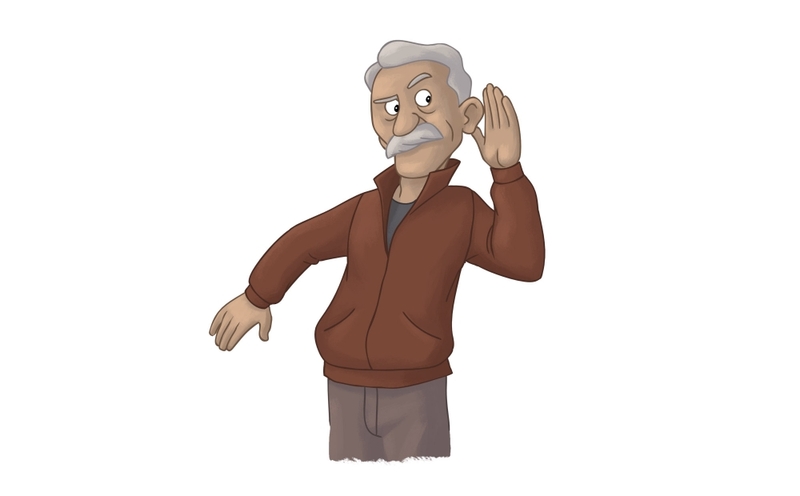 If you have hearing loss or tinnitus, you may be fitted with a hearing aid. These devices can assist with hearing, mask internal tinnitus noises and reduce the strain needed to hear quiet sounds. 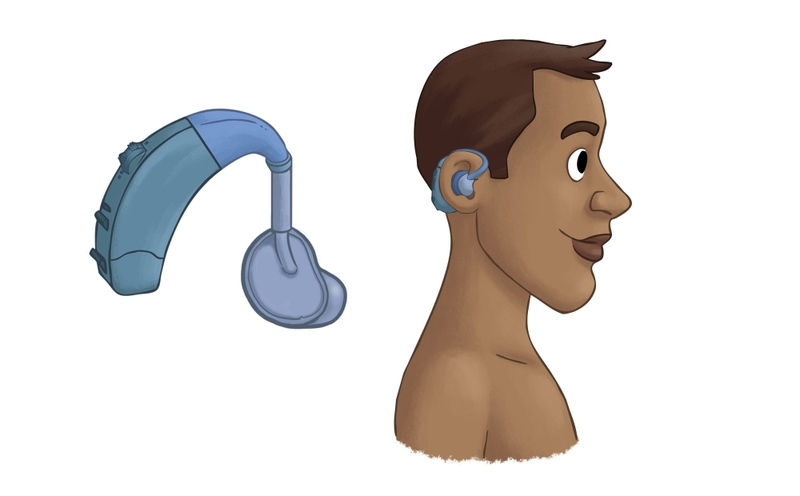 Hearing impairment caused by Meniere's disease could be assisted through hearing aids. Pressure pulse devices are designed to reduce the build-up of fluid in the inner ear by delivering low pressure pulses into the outer ear canal through a tube. Labyrinthectomy - total destruction of the inner ear. As these options also carry a risk of permanent hearing loss, surgery is usually only considered if the Meniere's disease affects only one ear, or you are already experiencing significant hearing loss. Psychological therapy sessions may be helpful if you're experiencing mental health issues related to Meniere's disease. Talking about your negative feelings may improve your coping skills and overall outlook towards the condition. Psychologists can also help by teaching you strategies to provide a distraction from the irritating tinnitus sounds. As Meniere's disease can be severe and unpredictable, it can have a big impact on day-to-day life. For example, it may adversely affect your ability to work, travel or drive a car. As a result, symptoms may cause mental health issues, such as anxiety and depression. Other possible complications include permanent hearing loss and injury from falls. Meniere's disease is generally a progressive condition with no cure, which means that it can get worse over time. It may progress slowly in some, but quickly in others. You may also experience periods of remission, where attacks do not occur as often, or at all. But again, remission may last for years or decades, or it may only be for a short time. In some cases, Meniere's disease may even get better on its own, usually over about 5-10 years. However, some hearing loss or tinnitus may remain even after attacks have stopped. In general though, Meniere's disease can often be successfully controlled with lifestyle changes and treatment. Meniere's disease cannot be prevented from occurring in the first place. However, treating symptoms early and taking medications as prescribed by your doctor can help to prevent or reduce attacks.